Mike Tipton was in construction for over 35 years and retired in 2009 when he was disabled at work. He thought he would try writing songs about feelings and experiences he’d had through the years and learn to play guitar and keyboard, now that he had time. So to make a long story short Mike has had 40 songs published through a publishing company and joined ASCAP, and has his own studio for production of his music. Mike has learned to produce videos and put them on youtube , this last year he was able to join CMA / ASSOCIATION , and become approved as a country music artist. 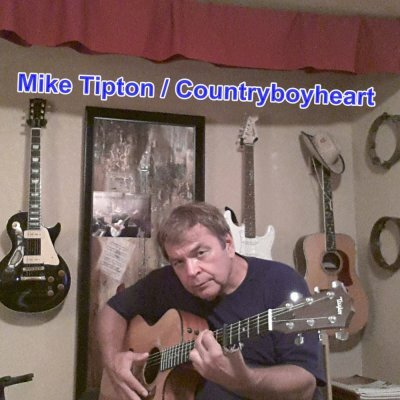 Mike’s songs are available to buy on itunes, reverbnation , cdbaby , amazon & google play store and facebook. He is currently working on putting together his first album for next year so Mike is busy trying to learn as much as he can about producing music.